Very loud party with very loud music coming from the pool area until after midnight. Difficult to sleep. We didn’t want to leave. 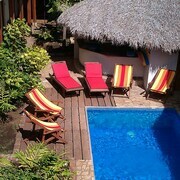 We cannot fault the experience we had at Jicaro. The staff are friendly, attentive and also willing to help. And the location is like nothing I’ve ever experienced. Thank you. Where to find Granada hotels near an airport? Where can I find hotels in Granada that are near tourist attractions? 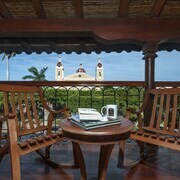 Granada offers visitors a wide selection of quality hotel and apartment options. About 44 hotels are within a 0.1-kilometre (0.06-mile) radius from Granada's city center. 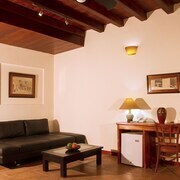 The Hotel Casa Barcelona, is an ideal choice for travelers as it's the most centrally positioned hotel option in Granada. 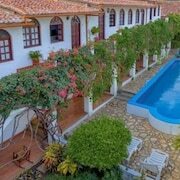 If you have a budget to stick to and are simply looking for slightly lower priced Granada hotels, our hotel database has affordable lodgings to choose from in the area. 2 kilometres (1 mile) from Granada's heart you'll find the Hotel Plaza Colon. The Hotel Dario is only 2 kilometres (1 mile) away. 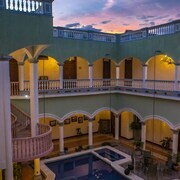 The Hotel Colonial Granada and the Hotel Granada are two other affordable options that you could look into. The Jicaro Island Ecolodge is 6 kilometres (4 miles) from the middle of Granada. Another accommodation option is the Hacienda Puerta Del Cielo Ecolodge & Spa, which is situated 20 kilometres (12 miles) away. The Hotel La Mar Dulce and also the Apoyo Resort & Conference Center are two other recommended accommodation options around Granada. 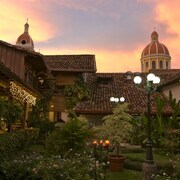 The larger Western Nicaragua region is worth exploring too. Nature lovers will love Western Nicaragua's beaches. In addition you could visit the area's old towns. Common activities in this part of Nicaragua include mountain climbing. Calle la Calzada is located 60 kilometres (39 miles) to the west of Granada. Here, you can enjoy the Montelimar Beach. 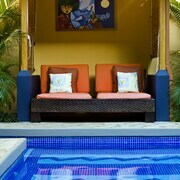 Montelimar Expedia-listed hotels include the Hotel Vistamar and Barceló Montelimar - All Inclusive. Alternatively, you can find Calle la Calzada, 2 kilometres (1 mile) to the north of Granada. In Calle la Calzada, check out the Guadalupe Church. 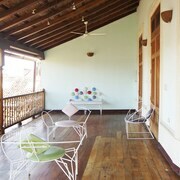 The Hotel Xalteva and Los Patios Hotel are great places to stay in Calle la Calzada. If you enjoy sports and like to watch games you might decide to take a trip to Dennis Martinez National Stadium, which is 45 kilometres (28 miles) to the northwest of Granada. Those wishing to find a room or apartment near to the action can make a choice from the Real InterContinental Managua at Metrocentro Mall or the Crowne Plaza Managua. Augusto C. Sandino International Airport is a nearby airport for accessing Granada. It is 35 kilometres (22 miles) drive away. If you plan to stay nearby, try the Best Western Las Mercedes or Hotel Camino Real Managua. What are the most popular Granada hotels? Are there hotels in other cities near Granada? 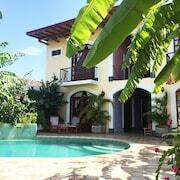 What other types of accommodations are available in Granada? Explore Granada with Expedia.ca’s Travel Guides to find the best flights, cars, holiday packages and more!